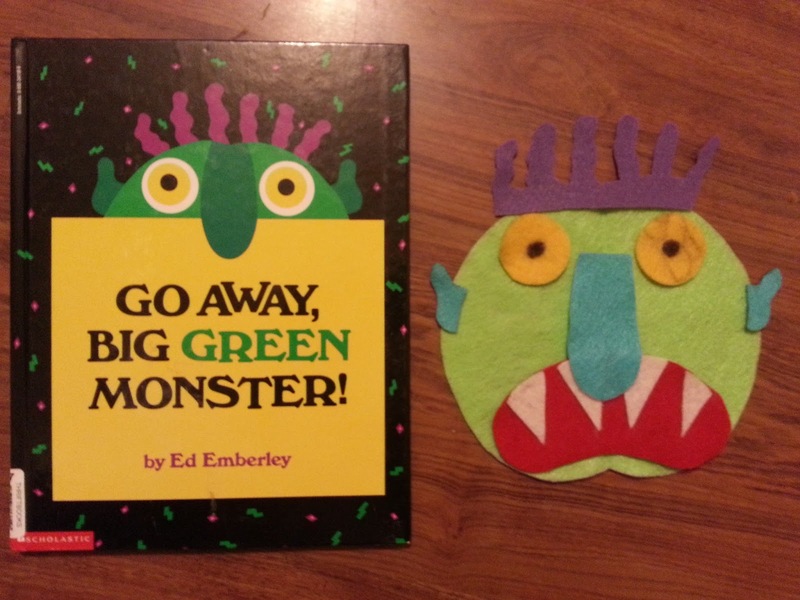 Go Away Big Green Monster!! Sunny Days at Sesame Place!! We are living up our last 2 weeks of summer before the kids go back to school. 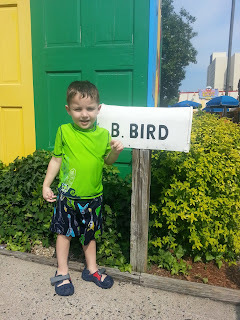 Last week, I took my youngest to Sesame Place along with some friends and we had a blast! It was perfect for him! A group of us pre-bought tickets as a group to get the group rate which saved us 50%! The best part about our visit was seeing the kids "be young" again! Sounds funny, I know! LOL My son is 4 & 1/2 and really hasn't been into watching Sesame Street for awhile now, he seemed to think that it is a baby show. 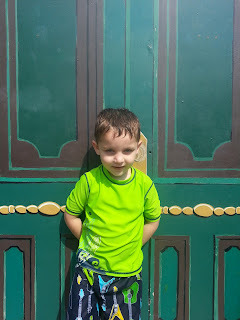 While we were there, he got so into it! After we came home, he wanted to watch Sesame Street and begged me to take out his Sesame Street figures that I had put away in my garage since he no longer played with them. The other kids we went with were 6 and 7 years old and they got so into it too! 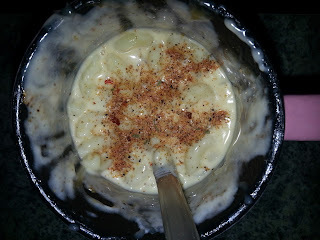 Homemade Easy Mac & Cheese in a Mug! My kids are big fans of Easy Mac, me not so much. It is okay, but there is nothing like homemade Mac and Cheese. 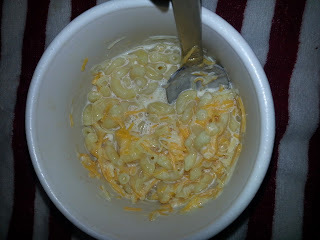 Unfortunately, making homemade Mac and Cheese isn't always convenient, especially during lunchtime. Today, we decided to try to make our own version of Easy Mac and homemade-- homemade Macaroni & Cheese in the microwave in minutes!! Combine the pasta and water in a large mug or bowl. Microwave on high for two minutes, then stir. Repeat this for at least 2 to 4 more minutes, stirring at each 2-minute interval. The water should absorb completely and the pasta will be cooked through. If the pasta needs another minute it is okay to add one more teaspoon of water and microwave for another minute. *The water may overflow, this is normal. Too avoid this, use a larger bowl. Remove it from the microwave and stir in the milk and cheese. Microwave for another minute. Stir the cheese thoroughly into the pasta and eat up! I even made a mug for myself and topped it with my homemade seasoning mix. 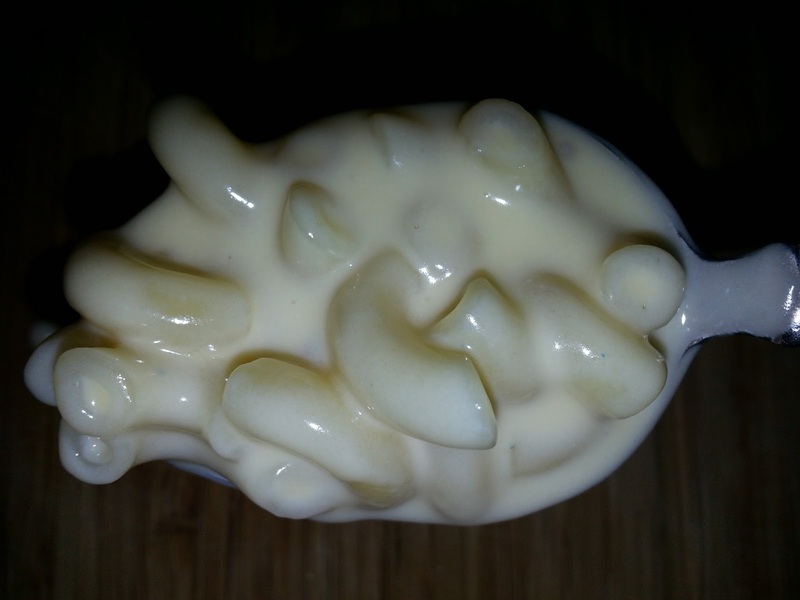 It tastes just like homemade Macaroni and Cheese!! 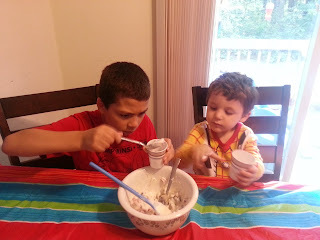 My kids really enjoyed making and eating this! I love when they can each make their own portion from start to finish! This would be great dorm room food! 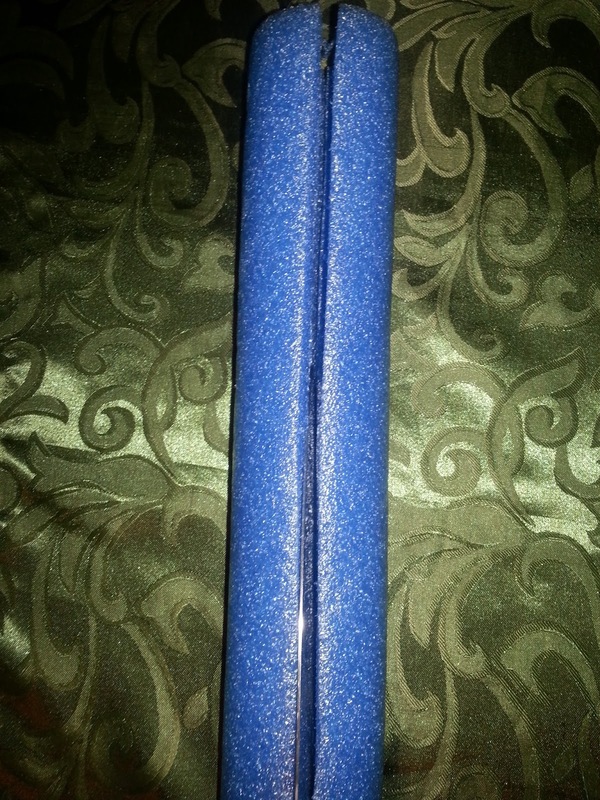 I made these bats for an exchange I recently participated in. The exchange was for the book Stellaluna, which is a story about a little bat that gets lost and is raised by birds. I figured with Halloween right around the corner, I'd share them. I plan on making some more of these for my son to give to his friends for Halloween. They are adorable and easy to make. 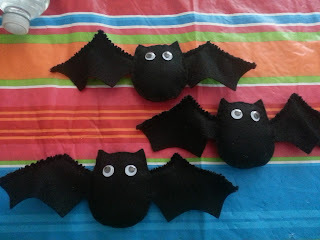 I hand sewed them together and they are made from black felt and black pipe cleaners. I used a pattern found on All Things Crafty. My son wanted googley eyes on them instead of buttons, which I ended up really liking. Cute, huh? 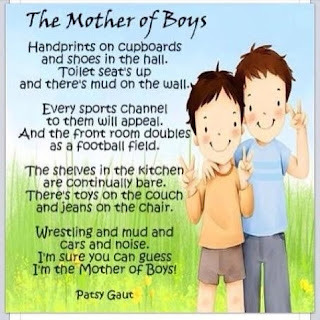 My son loves his! 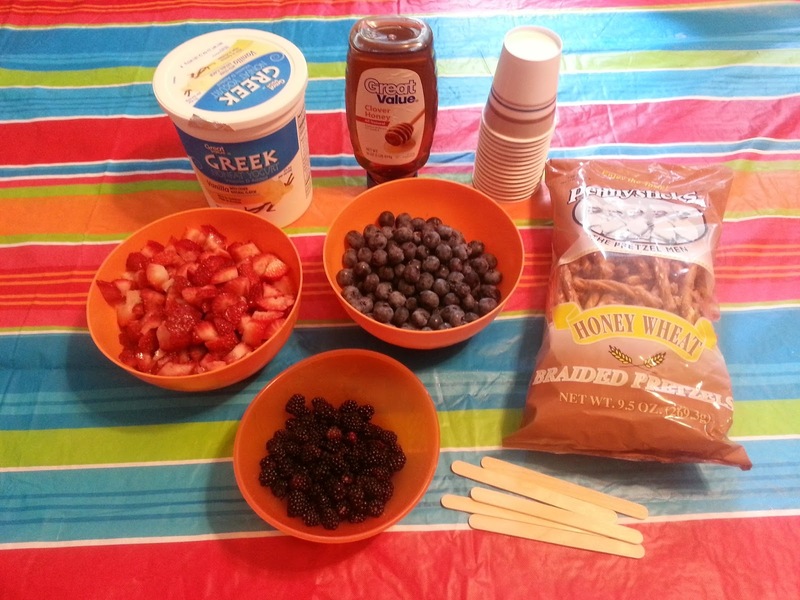 Simple, Healthy, and Delicious Snack-- And a Great Way to Get Your Kids to Eat Yogurt! My boys are always hungry and are always looking for a snack. 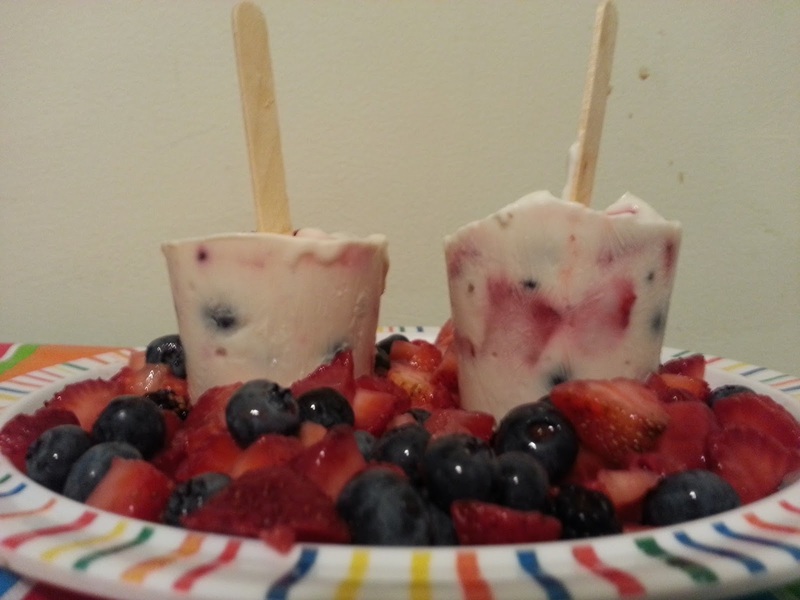 This is easy to make, healthy, and delicious-- not only for my kids, but for me too! My kids enjoyed putting it together almost as much as they enjoyed eating it! 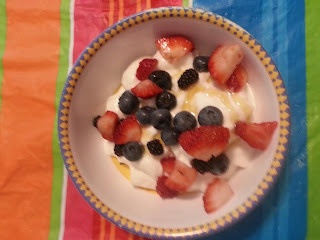 We just put some Greek yogurt in a bowl, poured some honey on top, and added some fresh berries-- yum! Free Lowes Kid's Build and Grow Workshops-- My Kids Really Enjoy These!! 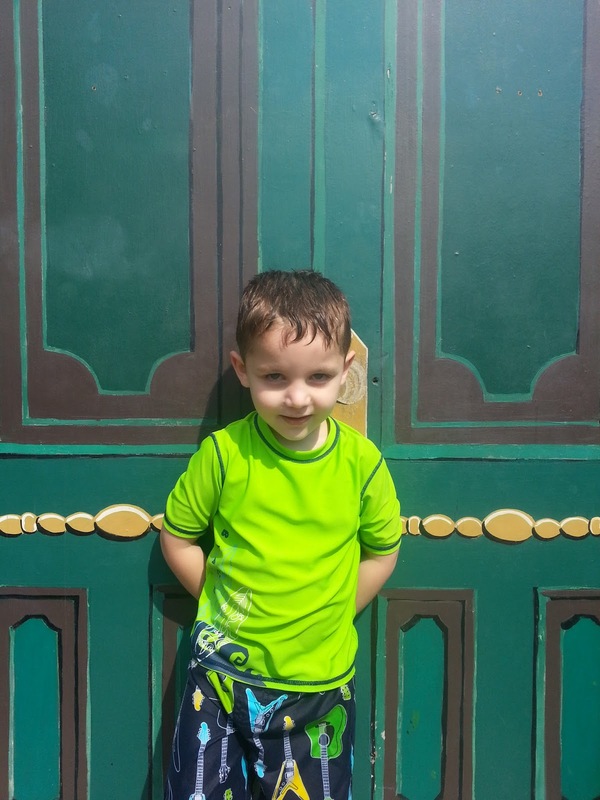 If you have a Lowes nearby, you definitely should check out their free kids workshops! They offer 2 different projects each month! 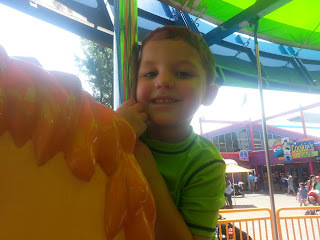 My son really enjoys going and always looks forward to the next one! It is a great program and the kids get so much out of it. They give the kids a project, a Lowes work apron, safety goggles, a patch, and a certificate of completion. They have small children's hammers for the kids to use as well. Did I mention that it is all FREE?? 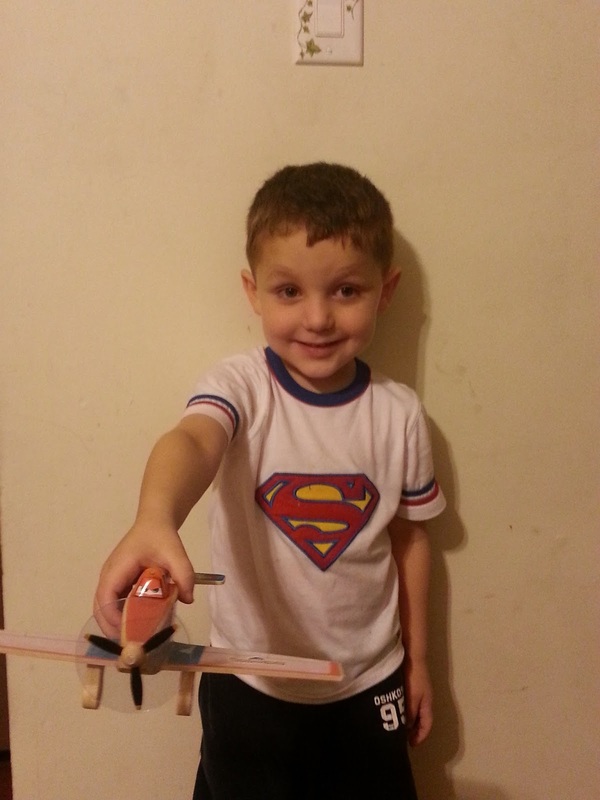 This month, both projects are from the new movie PLANES! Last weekend, they made Dusty and this upcoming weekend they are offering El Chupacabra. Be sure to sign up in advance by visiting their website, which can be found here. 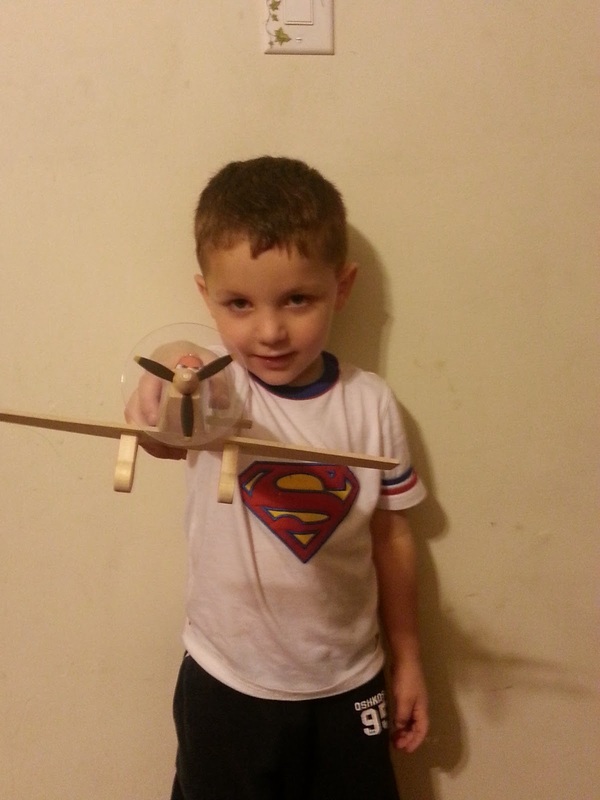 This is my little guy and his plane, Dusty, that he proudly built with some help from dad. This busy bag never gets old! 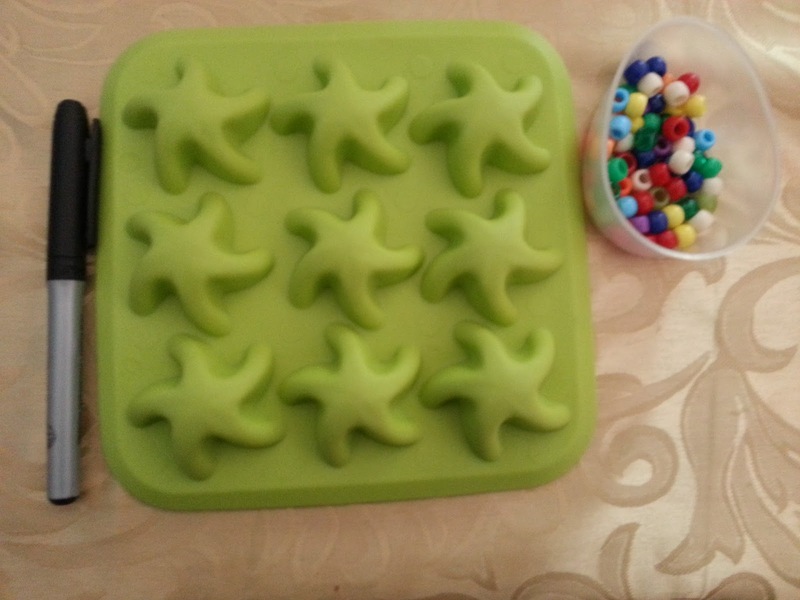 Seeing that I get my little silicon ice cube trays in the dollar store, I can change them up often to keep it "new." 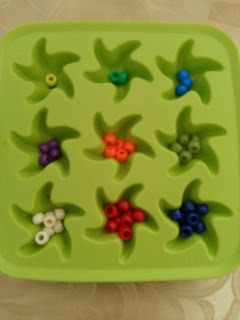 To make your own, head to the dollar store and pick up a silicon ice cube tray, a permanent marker, and some pony beads. 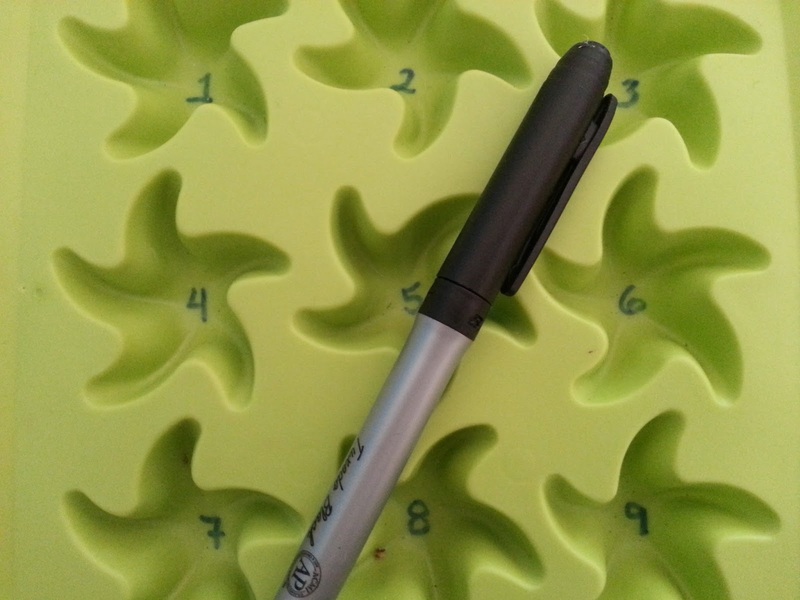 Use the marker to number the sections and your child is read to play! Have them add the appropriate number of beads to each section. As they get older, they can sort the beads by color and then count them out. Simple but fun! Popsicle Stick Puzzles are one of my son's favorite types of busy bags. They are so simple to make, so he has quite a few of them. All you need is some popsicle sticks and a picture-- you can print it out, use one that you have found, use pictures from books from the dollar store, or draw one. I cut these pictures out of a poster that we had from the Disney Rush video game. Simply cut out the picture however you like; Buzz I did just the character and I used the background with Remy. 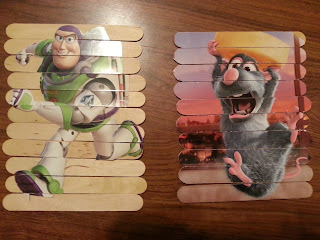 Then, glue or modge podge the picture to the popsicle sticks and let it dry. Using an exacta blade, cut the picture and separate the popsicle sticks. Now, let your child have some fun!! 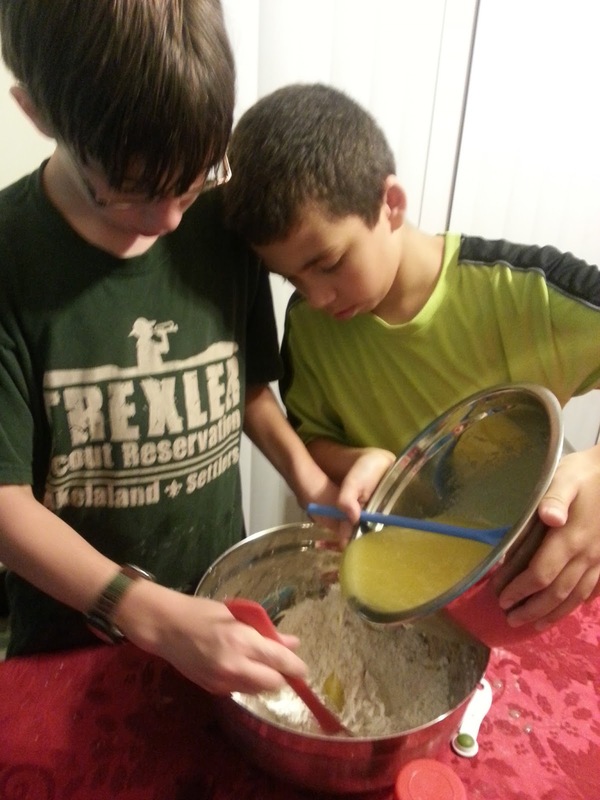 We decided to make Sweet Potato Bread to go along with our Native American Indian studies and the Indian Lore Merit Badge. 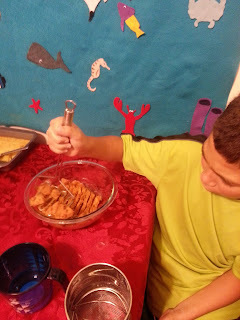 The boys enjoyed making it and loved eating it the following day while they did the written portion of the Indian Lore Merit Badge. 1. Combine sugar and oil; beat well. Add eggs and beat. Combine flour, baking soda, salt, cinnamon and nutmeg. Stir flour mixture into egg mixture alternately with water. Stir in sweet potatoes and chopped nuts. 2. 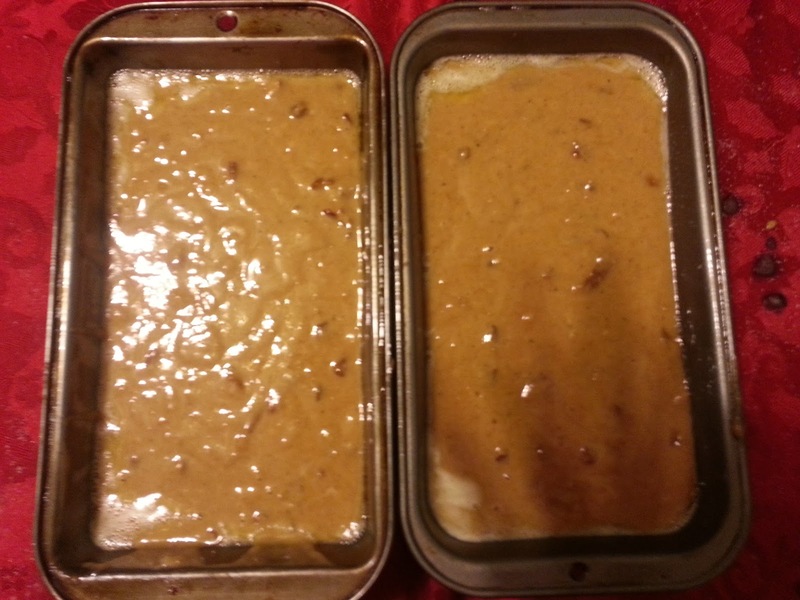 Pour batter into 2 greased 9x5 inch loaf pan. Bake at 350 degrees for about 70 minutes. **This recipe makes 2 loaves of bread, you can easily cut it in half to make 1 loaf. I began working on the Indian Lore Merit Badge yesterday with my son and another Boy Scout. One of the requirements was to make 3 Native American food items. 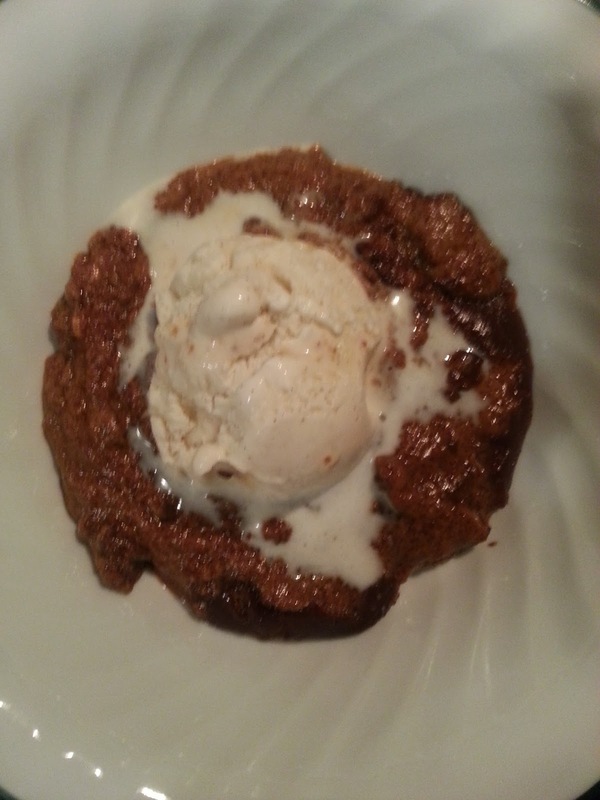 One of the items we made was Indian Pudding. 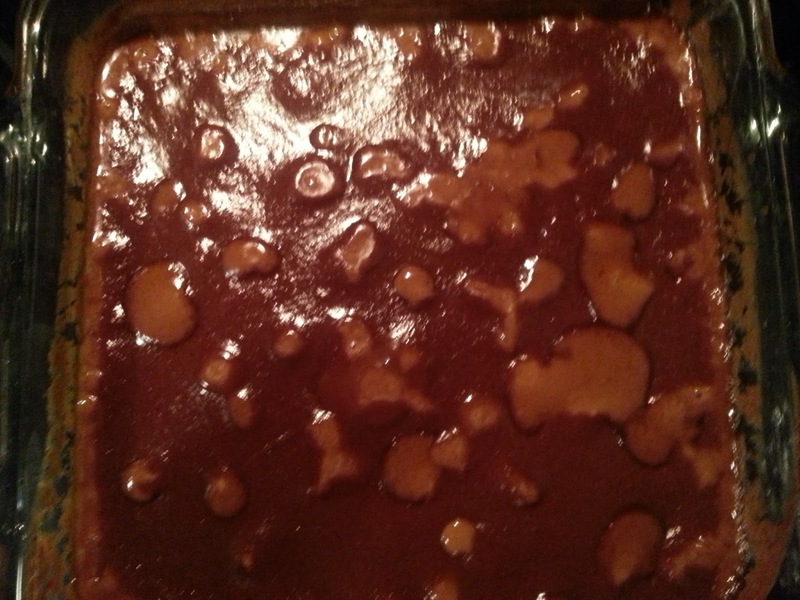 I am not a huge fan of this pudding, mainly because the molasses has a strong presence and I really don't care for molasses, but my husband and the kids loved it! It was easy to make, two 12 year old boys made it on their own. Give it a try and let me know what you think! Enjoy! 1. Heat the oven to 350°. 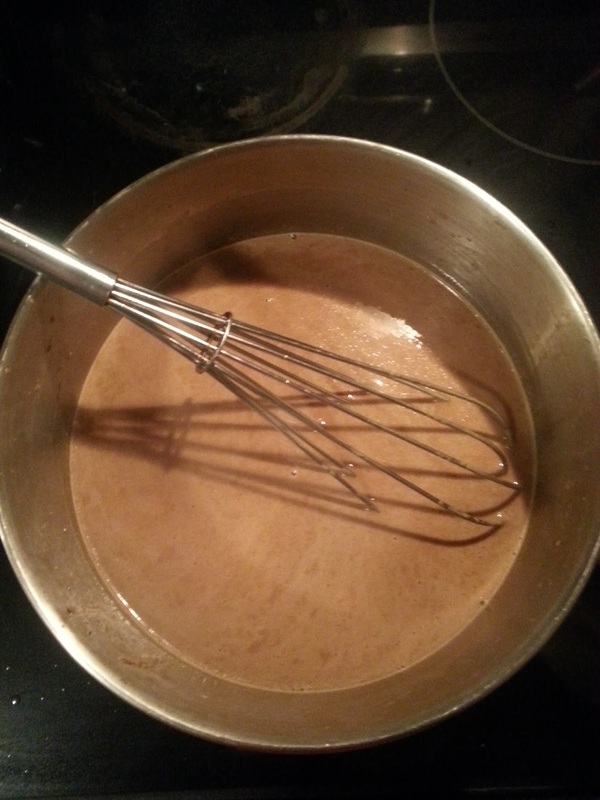 In a medium heavy stainless-steel saucepan, bring the milk, cream, molasses, and brown sugar almost to a simmer over moderately high heat, stirring occasionally. 2. 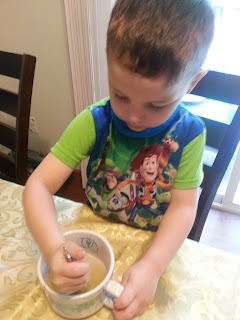 In a medium bowl, whisk together the cornmeal, ginger, cinnamon, and salt. Add to the milk mixture, whisking. Bring just to a simmer, whisking. Pour into an 8-by-8-inch baking dish. The batter will be thin and shallow. 3. Bake the pudding in the middle of the oven for 20 minutes. Remove from the oven and stir well. Return the pudding to the oven and continue cooking for 20 minutes. 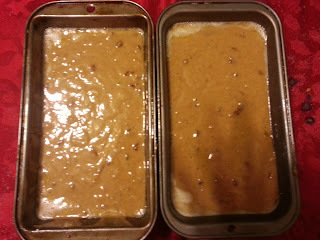 The pudding will still be quite wobbly but will set as it cools. Let cool on a rack for 20 minutes and serve warm. Or cool completely and reheat the pudding in a 350° oven for about 5 minutes just before serving. Serve the pudding topped with the ice cream. *Variations Stir the pudding after it has baked for twenty minutes and then top it with one-third cup of chopped pecans or walnuts. 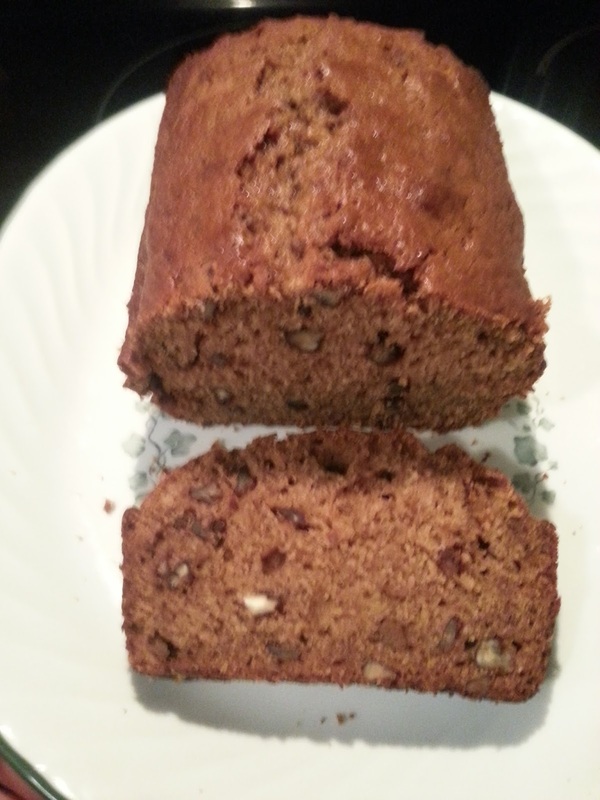 Continue baking as directed for twenty minutes longer. 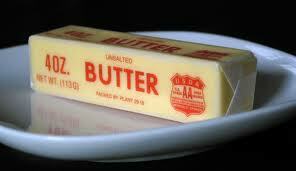 Need Softened Butter Now? Here's A Trick To Soften It Quicker! I hate that moment when I am ready to bake and I realize that I need softened butter! Waiting for cold butter to soften seems to take forever! Over a mixing bowl, shred the amount of butter you need on a grater. The little pieces will soften faster than a solid stick. In no time, the butter will be bake-worthy. 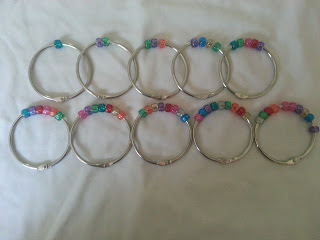 Here is a very simple busy bag for preschool aged children learning to count-- Counting Rings! These are a great way to help your child count from 1-10, help them visualize which numbers are greater and practice number sequencing. To make a set for your child, you will need pony beads and large binder clips (I recommend 2-3 inch binder clips). Open one ring, add one pony bead, and close it up. Open up the second ring, add two pony beads, and close it up. 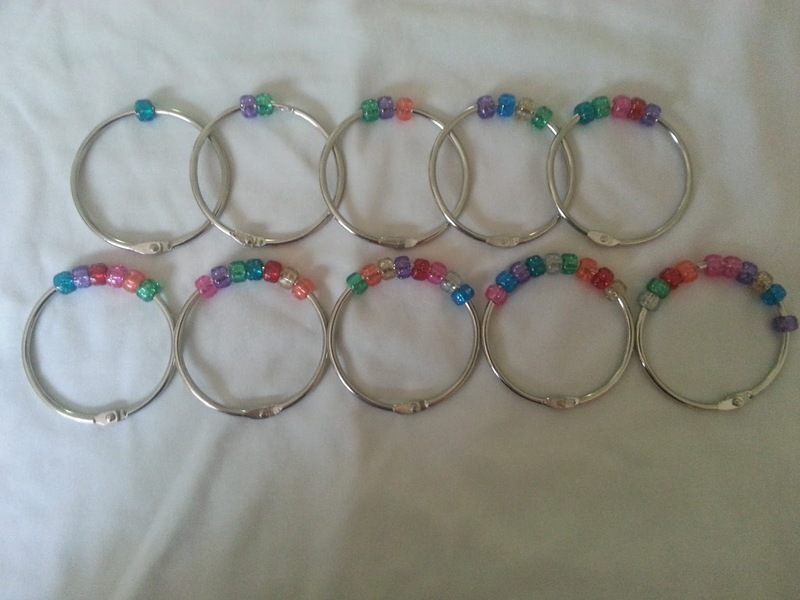 Repeat with the remaining rings, adding an extra bead each time, until you are finished. My kids love s'mores, but it is not always easy to drop everything and go outside and start a fire to make them. Plus, it always seems like it is raining when they want to make them! 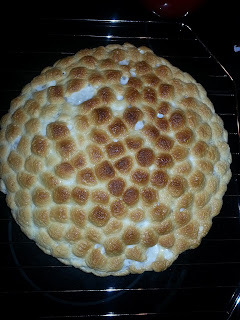 A few days ago, in attempt to keep my kids busy during a storm, we tried something new-- S'mores Pie. I had the kids prepare a box of brownie mix, following the instructions on the box. 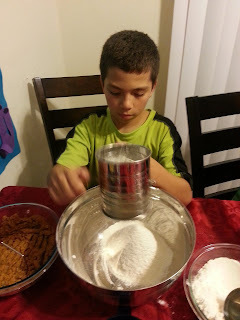 Instead of pouring the mixture in a pan, we poured it into a store bought graham cracker crust. 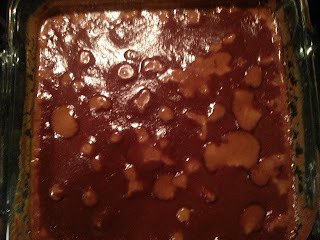 We then baked it according to the brownie box, following the time for an 8x8 pan. When the time was up, we covered the brownie with mini marshmallows and put it back in the oven for a few more minutes, until the marshmallows were nice and golden brown. 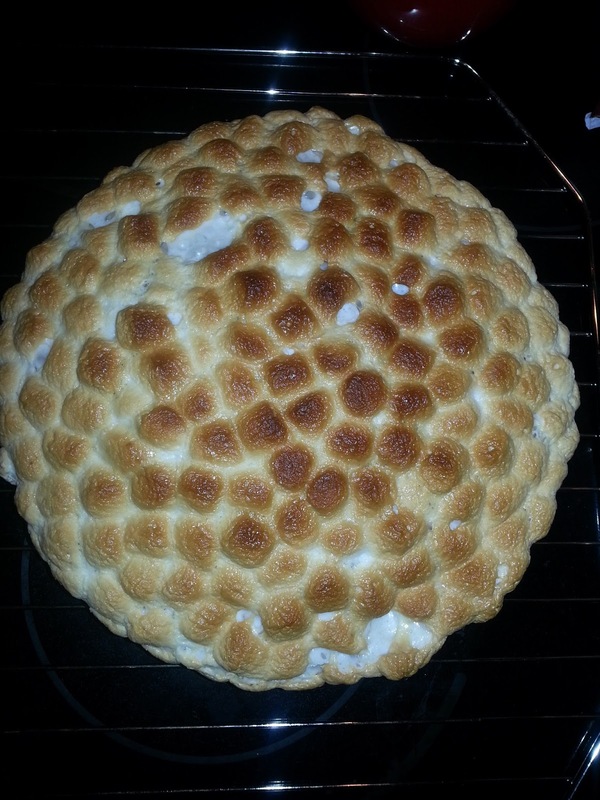 My kids approved this "inside" version of s'mores and we will definitely be making this again! 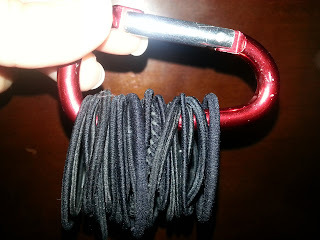 Carabineer Clip = Organized Hair Ties! Tired of your hair ties ending up all over the place? Here is a quick, easy, and inexpensive way to organize them! 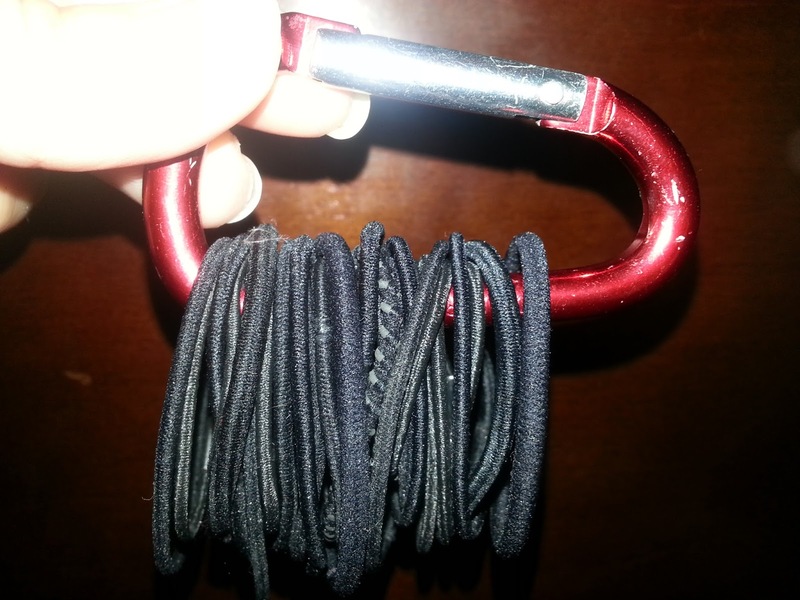 All you need is a carabineer clip, which can be found in the camping/hiking section at Wal-Mart and other stores. Add your hair ties and you are organized!! Pool Noodle Marble Race Track-- Lots of Fun and Super Inexpensive To Make!! I was looking for something to do with my kids to keep them busy indoors due to the rainy and muddy conditions over the last few days. Last night, we got over 4 inches of rain alone! I am only aware of that because my oldest is working on his weather merit badge for Boy Scouts and has a handmade rain gauge outside. I had seen this in a Family Fun magazine and thought it was such a great and frugal idea. 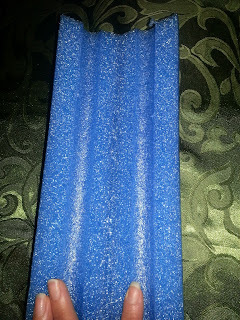 I grabbed a pool noodle from our pool stuff (which originally only cost me $1 at the Dollar Tree) and basically butterflied (cut it in half without going all the way through) it with a serrated knife. 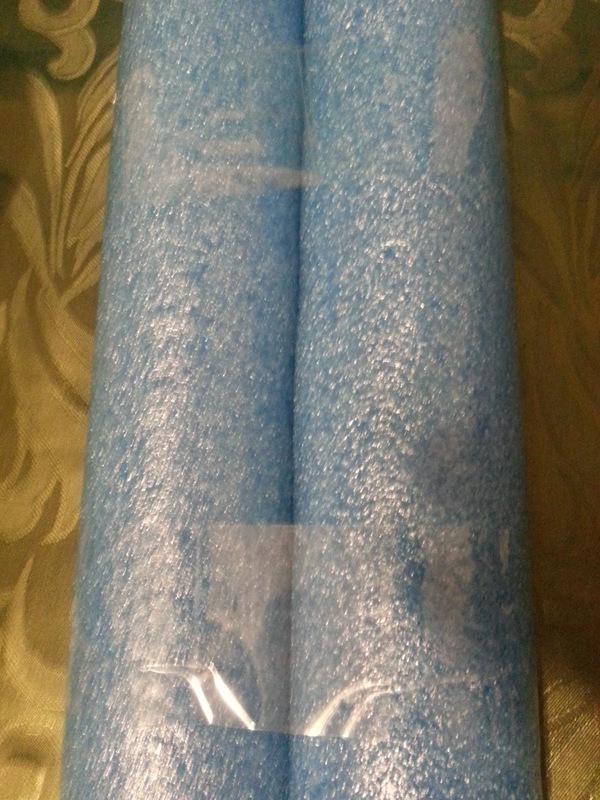 First, I cut through the first layer, then I held it flat with my hand and cut ALMOST, but not COMPLETELY through the second layer. I flipped the noodle over, pushed it flat on the ground, and used packaging tape to hold it in place. We added some signs and racing flags that we cut out and taped to toothpicks and leaned the marble race track against our coffee table... We grabbed our marbles and were ready to race!! 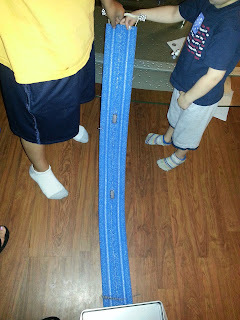 After some runaway marbles, I decided to place a baking sheet at the end of the track to help catch them. My kids raced over and over! 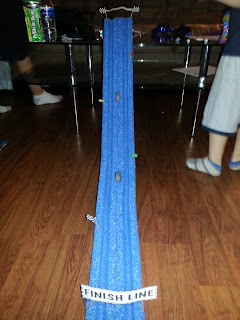 We got hours of play out of this at our playdate today too! 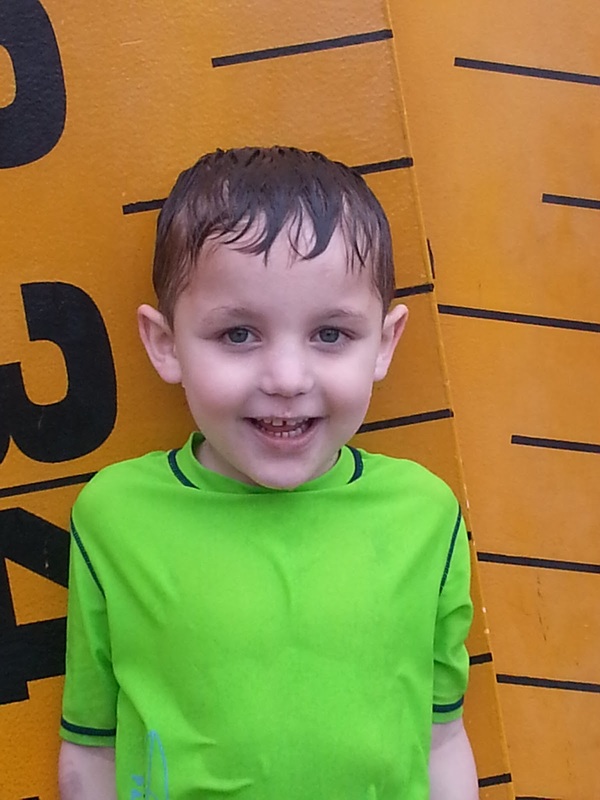 It really came in handy since the kids could not play outside like they wanted to due to the rain and mud. 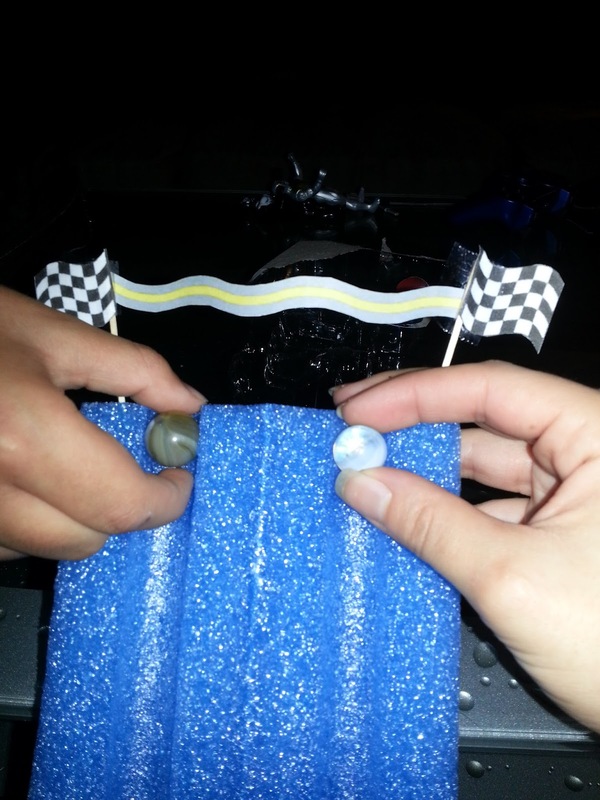 The kids had so much fun and I believe I finally retrieved all of the marbles they had! 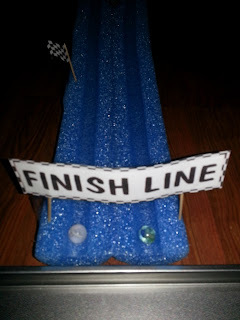 **Another fun idea-- Tape 2 race tracks side by side to accommodate more racers! Last Chance to Enter to Win a $10 Amazon Gift Card!! Last chance to enter to win a $10 gift card for Amazon!! I recently became a Boy Scout Merit Badge Counselor for the Indian Lore Merit Badge. I love Native American history and culture and I am 50% Native American, so this should be a lot of fun. My first battle is figuring out what projects we are going to make to satisfy the requirements. 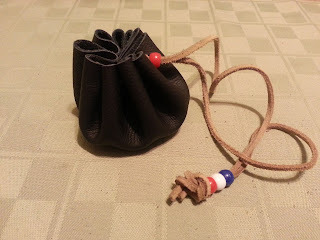 One of the projects I am going to make with boys is a Medicine Bag. This is a simple version that does not require sewing and should be easily accomplished by all of the boys. Below, I listed the materials I used for the bag pictured, I also listed what I plan on using with the boys to keep the cost down and use up some supplies that I already have on hand. Native American Indians used medicine bags as a holder or container for various items that they found special or that they thought possessed supernatural powers. Anyone could have one, but usually the medicine man of a tribe that would carry one. They carried items such as special stones, animal furs, teeth, and anything else that meant something to the owner. The contents of the bag were very special and secretive, only the owner of the bag was allowed to look in it. When the owner died, their bag was buried with them. 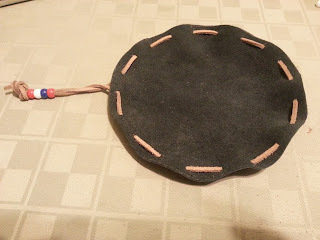 a good sized piece of leather, vinyl or other material, I used a piece of leather that I had for my bag, but the boys will be using a "fake" leather vinyl to make theirs. 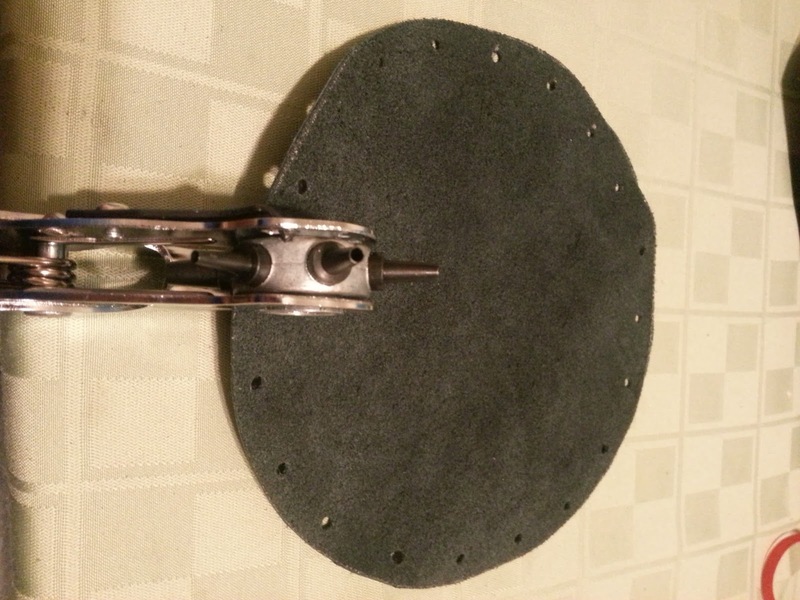 Use the template or plate to trace a circle on the backside of the leather or material and cut it out. 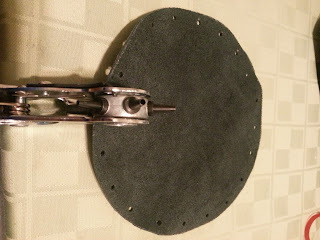 Measure out holes evenly around the circle, about an inch apart. **You must have an even number of holes for the medicine bag to cinch closed properly. 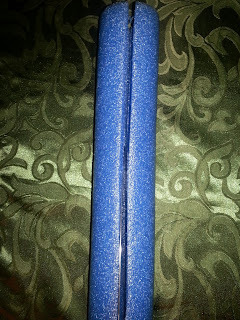 Lace the cord through the holes so that both ends of the cord end on the same side. Add some pony beads to both ends of the cord, you can use the pony beads to push and hold the bag closed. Knot the ends of the cord together and you have yourself a medicine bag! What will you store in yours? 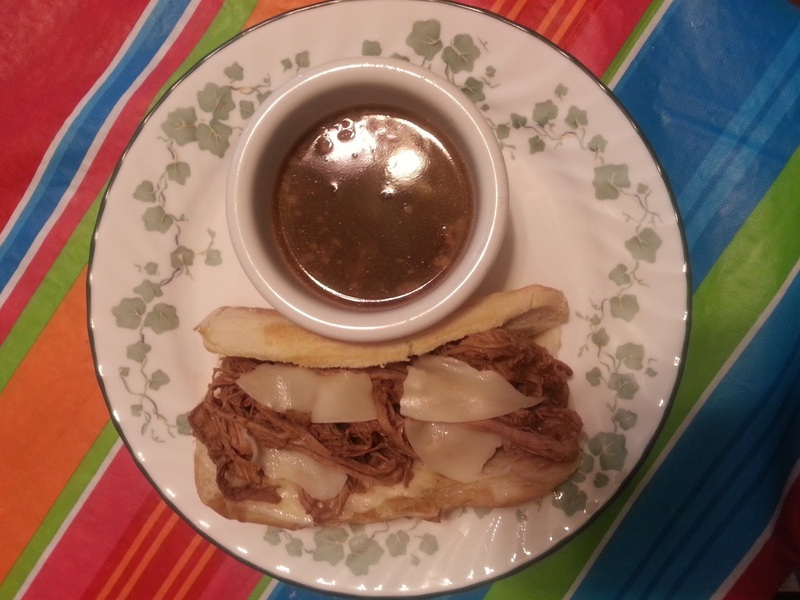 Slow Cooker French Dip Sandwiches-- SO GOOD!! I love when a meal tastes like I've been cooking all day, especially when I wasn't. 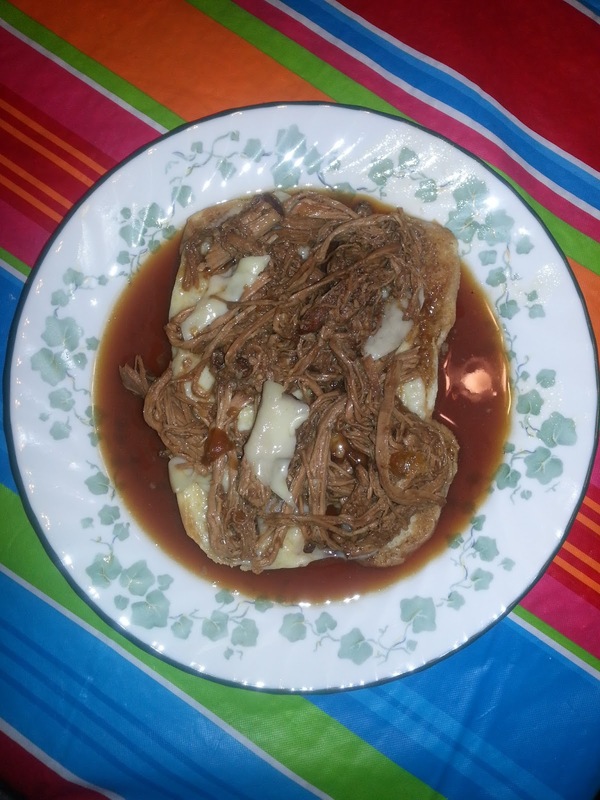 The only thing that was working in the kitchen all day was my slow cooker and the end result was amazing!! I received this recipe in a recipe swap I participated in a few months ago. I have been dying to make it and finally got around to making it today. Everyone in my house was VERY happy, it was absolutely delicious!! I spent no more than 10 minutes preparing everything before it went into the slow cooker and only about 10 minutes afterward. I let it cook for 7 hours and believe me, I was counting down the minutes until it was done! The aroma of it cooking made my mouth water! Slice onions, keeping rings intact. Layer in the bottom of your slow cooker. Add broth, sauces, water, mustard, and garlic. Season your meat with salt and pepper. Brown the sides on high in a frying pain to sear in the flavor. *You can skip this step if desired, but I prefer to brown it. 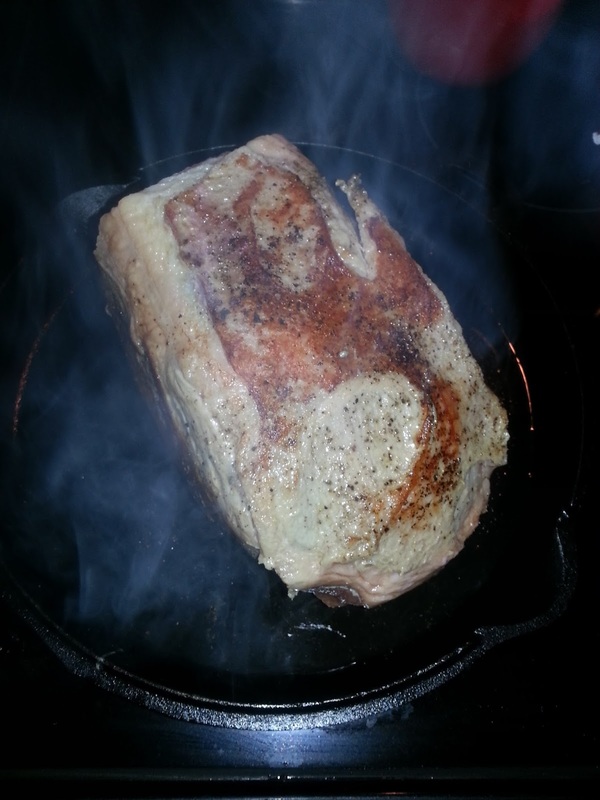 Add the meat to the slow cooker, cover and cook on low for 6-7 hours. 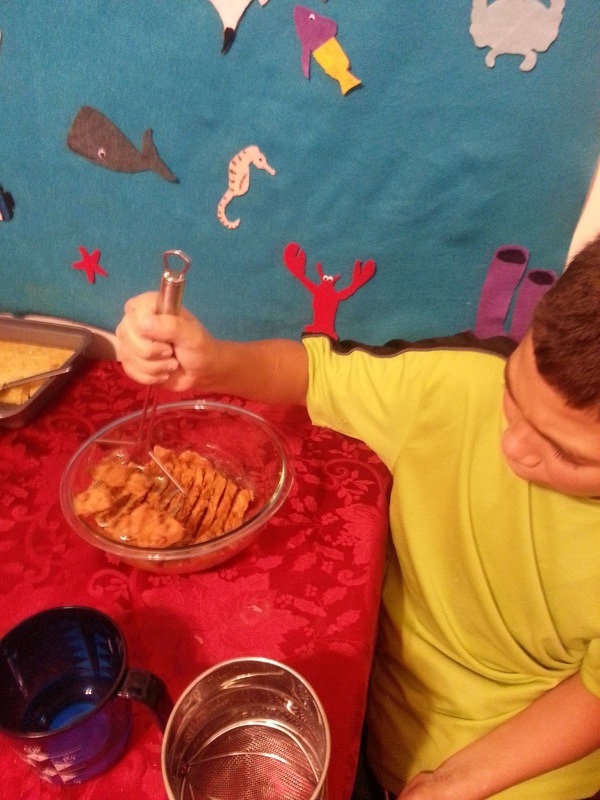 Shred the meat using two forks. Serve the meat on the steak rolls and top with provolone cheese. Serve the Au jus on the side for dipping. *I put the cheese on the steak rolls and toasted them lightly to warm the bread and melt the cheese. My husband preferred to have his as an open faced sandwich! Yum! The Best Way to Peel Kiwi! I love to eat kiwi, but always struggle with peeling them. After doing some research, I found the best way ever to peel kiwi! 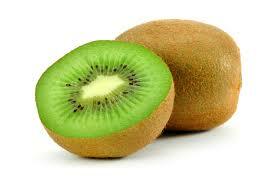 Try it out the next time you have kiwi! Trim both ends of the fruit. Ease a tablespoon between the flesh and the peel. Turn the kiwi, pressing the back of the spoon against the peel as you go. The whole fruit should slide right out, ready for slicing. Simple enough, don't you think? $10 Amazon Gift Card GIVEAWAY from Purex!! 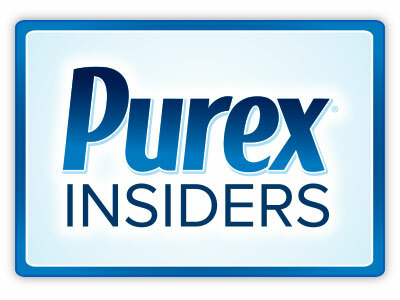 Thanks to Purex Insiders, I was given a $10 Gift Card for Amazon.com to give away to one of my readers! Enter now for your chance to win! Enter the Purex 31 Days of Fun Sweepstakes!! August!!!!! 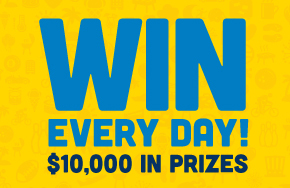 I'm not talking little prizes, I'm talking big prizes totaling $10,000! Prizes include items like a $450 Digital Camera and a year supply of Purex! The 31 Days of Fun Sweepstakes is only open to Fans of the Purex Facebook page! So head on over to the Purex Facebook page, LIKE them, and enter to win some amazing prizes now! I'm headed over to enter right now! Good luck! 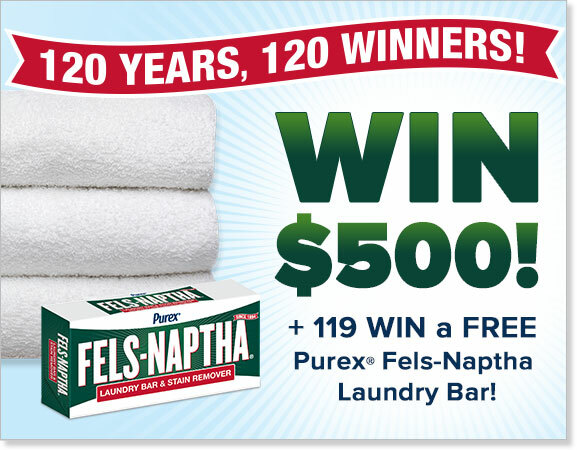 FELS-NAPTHA 120 Years, 120 Winners GIVEAWAY!! With nearly 120 years of removing America’s most stubborn stains, you can rest assured that this powerful laundry bar knows what it takes to get the job done. Purex Fels-Naptha Laundry Bar works overtime to remove dirt, grease and even ring-around-the-collar. Join the 120 year celebration by clicking HERE and enter for your chance to win the $500 grand prize. 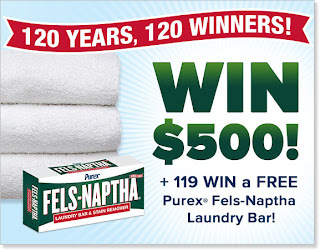 119 second place winners will receive a coupon for a free bar of Purex Fels-Naptha Laundry bar. I am always looking for fun things to make with my kids and healthy things for them to eat. 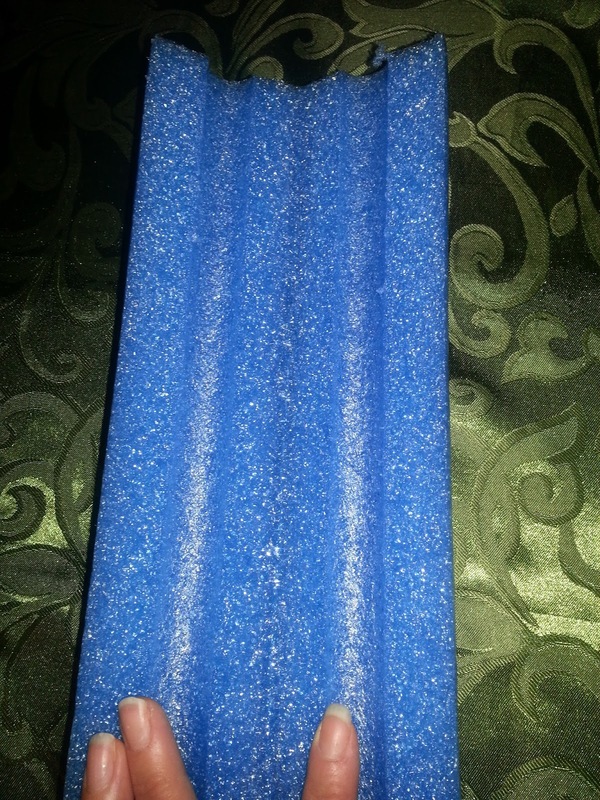 When my youngest was teething, I used to by the Go-gurts (kids yogurt in a tube) and freeze them to help with the horrible pain of teething. Why not freeze regular yogurt? Well we did and it is delicious! 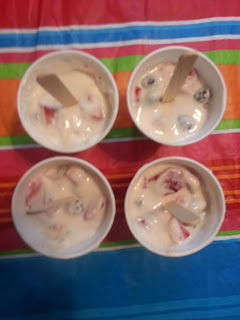 Minus the freezing time and the chopping of the strawberries, these only took a few minutes for my kids to put together. 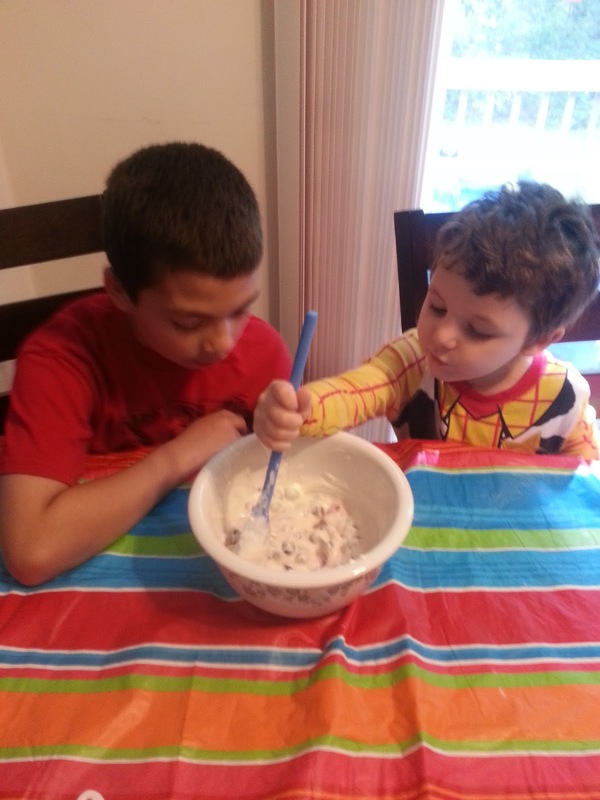 I chopped the strawberries up for them and over saw the measuring, otherwise, they pretty much made them on their own. Mix together the yogurt, berries, and honey until combined. Spoon mixture into small paper cups and add a popsicle stick or pretzel rod. Freeze for about 2 hours and enjoy! Homemade Ranch Dressing In Minutes-- YUM!